Jack Aitken (GBR) / (KOR) Renault Sport F1 Team Test and Reserve Driver. Renault Sport Formula One Team RS18 Launch, Enstone, England. Tuesday 20th February 2018. 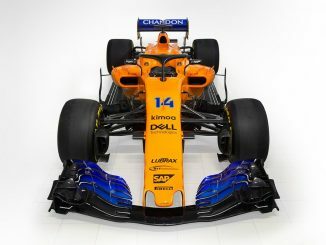 Jack Aitken hopes his role as third and reserve driver with Renault will give him an opportunity to learn from Nico Hulkenberg and Carlos Sainz in 2018. 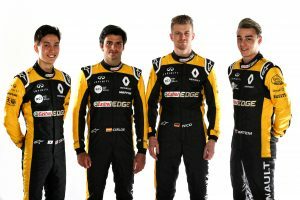 The Enstone team confirmed during their launch of the R.S.18 yesterday that the British-Korean racer will take up the role this season following the departure of Sergey Sirotkin at the end of 2017. 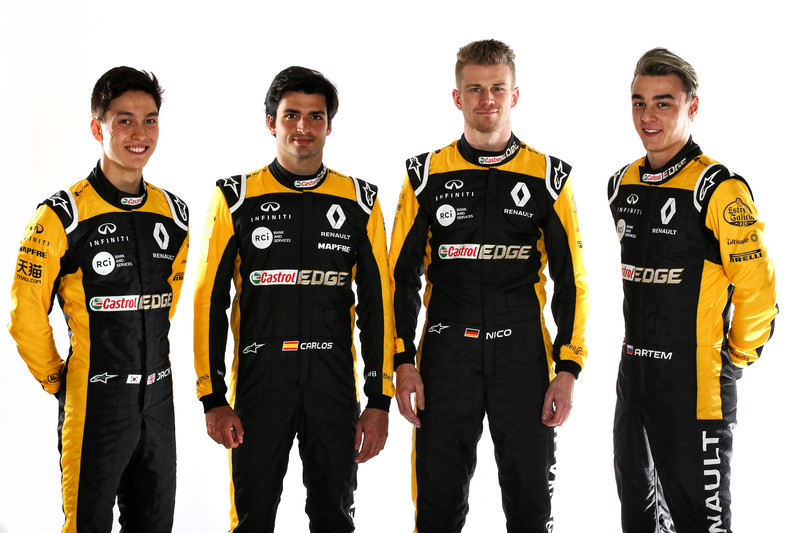 (L to R): Jack Aitken (GBR) / (KOR) Renault Sport F1 Team RS18 Test and Reserve Driver; Carlos Sainz Jr (ESP) Renault Sport F1 Team; Nico Hulkenberg (GER) Renault Sport F1 Team; Artem Markelov (RUS) Renault Sport F1 Team Test and Development Driver. Renault Sport Formula One Team RS18 Launch, Enstone, England. Tuesday 20th February 2018. Aitken will also be competing in F2 with ART Grand Prix this year, having finished as runner-up in GP3 last season. The 22-year-old said: “It feels amazing to take up the role as Third and Reserve Driver. It hasn’t quite processed yet, but I’m going to step up my involvement with the team quite a lot. 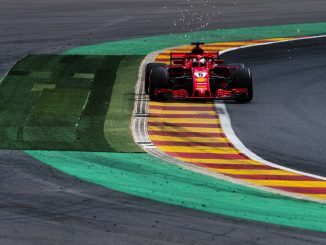 Over the first Barcelona test it will start to feel real and sink in a little bit more. “My main duty will be to watch and learn. 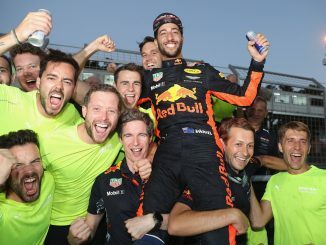 The role gives me an opportunity to be closer to Nico and Carlos and learn from them, as well as observing the race team, the engineers and how everything operates. Of course, if I’m required, I’d be happy to jump in the car, but I hope it’s all fine with Nico and Carlos! At the moment, it will be about continuing my development. I will attend all the races, barring any date clashes with Formula 2. 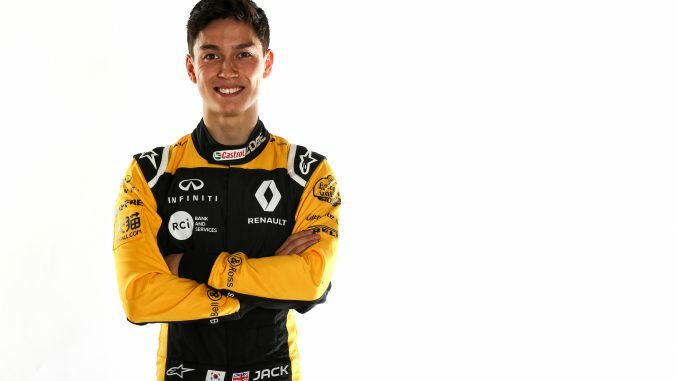 Aitken, who has been a member of the Renault Sport Academy since it was set up in 2016, first tested an F1 car last year, getting behind the wheel of the Renault-powered Lotus E20 from 2012 at Jerez in September. As well as getting an opportunity to drive this year’s car, Aitken will test an R.S.16 over the summer. Aitken’s promotion isn’t the only new appointment at Renault, as fellow F2 driver Artem Markelov comes in as Test and Development Driver, taking over from Nicolas Latifi who moved to a similar role with to Force India. The team also plans to run the Russian in the current car and the 2016 model over the course of the year. Markelov is a more experienced driver than Aitken as he heads into his fifth season in F2, finishing second behind Charles Leclerc in the championship last year.